I met former Assemblywoman Lucy Flores when she was running for Lt. Governor a few years back. She was a guest on one of the shows that aired on Radio Tribune, I don’t remember whose show it was, but I remember that a quick check on Ms. Flores showed an impressive turn around in her life. From hanging around with gang members in California to becoming a Nevada attorney and almost a role model for many young Hispanics, male and female alike, even if she still has that intimidating tough look on her face, she is still to be admired. I was surprised when hearing the news of her being “shocked” when Vice President Joe Biden embraced her while visiting Las Vegas to support her for Lt. Governor out of his own free will. As I understood it, Vice President Biden offered himself to come to Las Vegas to support her. I don’t care how much she has turned her life around, I don’t care how many accomplishments she’s had or how many titles, degrees and successes she’s added to her life, congratulations she deserves; in fact, all the credit in the world, but she still has that street look of a tough Chicana woman who doesn’t take nonsense from anyone and I mean from anyone, not even the Vice President of the United States. Very impressive, no question about it, and that is what I am trying to figure out since I learned of her experience with the second most important man in the previous administration of this great nation; how can she, a tough young woman with a streetwise mentality, knowledge and experience, not handle a situation like that? I wonder if Vice President Biden would not have announced his intention to run for president and have a 70 percent lead from the rest of a battalion of candidates if she, Lucy Flores, would have come forward with such allegations. I wonder if Vice President Biden decides to run, becoming an obstacle to Ms. Flores’ favorite presidential candidate, the well-known communist, Bernie Sanders, if she would have forgotten that Vice President Biden invited her to come to Las Vegas and give her campaign for Nevada Lt. Governor a real boost, making her a credible candidate. 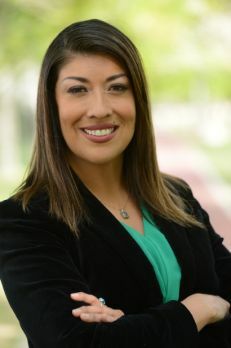 Being a woman, being a Latina, being a woman who was intelligent enough to turn her life around is not enough to win a Nevada election where shark politicians do their best to survive by stabbing each other in the back; betraying each other is not an easy task and Lucy Flores bypassed that and survived the lagoon of sharks in Nevada. Why she could not see it within her own party is beyond my or anyone’s imagination. That is why in a way I am glad that I have been forced into a semi-retirement where my contact with the outside world is more or less limited to a more restricted time where my contact with all the people I used to deal with is shortened; in a sense that keeps me from risking the possibility of doing the wrong thing. Although I have always been the kind of person to stay within property border lines (I believe in borders), most of the time I stayed accessible, and in my reign, anyone that came to my office was always welcome, but I don’t go anywhere now, not even to my office, and since my health is not as good as it used to be, I am not seen out anywhere. But I used to visit the courthouse where many of the judges are blonde, good-looking and even look beautiful, wearing their black judicial robes; I was friendly enough to give a hug and a kiss on the cheek to some of those judges, but never once could any one of them say that I crossed that ugly line of having them question my intentions or confuse my affections; I am too old to change my MO, and I have too much respect for them, even if sometimes I disagree with their decisions, and believe that for their position, they’ve made a mistake. I am not friends with Lucy Flores, but somehow I admire her tenacity and her efforts. I am sorry that she could have been erroneously influenced to come forward at this time of her life. My name is Rolando Larraz, and as always, I approved this column. Rolando Larraz is Editor in Chief of the Las Vegas Tribune. His column appears weekly in this newspaper. To contact Rolando Larraz, email him at: Rlarraz@lasvegastribune.com or at 702-272-4634.